Very nice image! The reflects are really great! J'aime beaucoup ce calme , les reflets , l'harmonie des gris . Peggi, Jodie, Jean, thank you for your comments. The photograph was taken in Crow Nest Park, Dewsbury, West Yorkshire. Although the early history is lost, it is thought a house and estate has existed here since 1571. The property has been a park since being sold to Dewsbury Corporation in 1893. 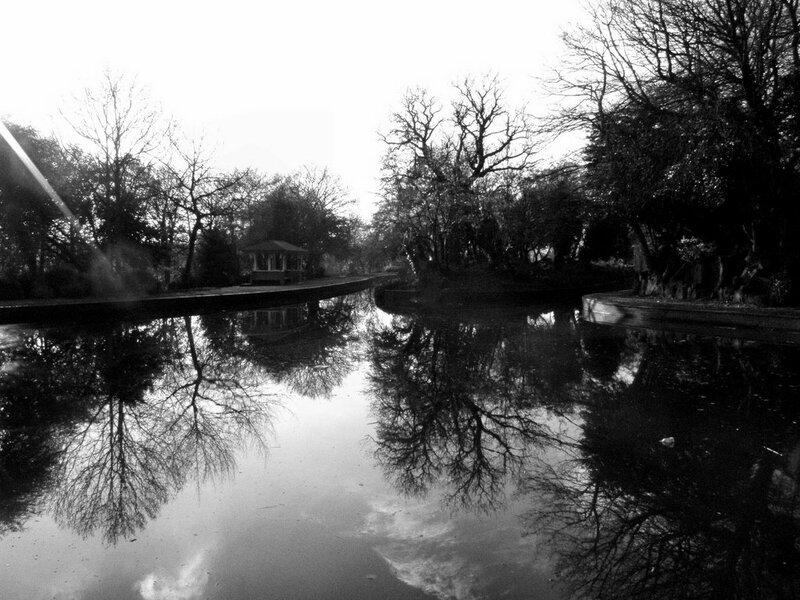 The park was designed by William Cox who incorporated his own features such as the ornamental lake with existing features such as the temple (an 18th century summer house) and the vine house. this is wonderful ... the reflections really add a wonderful dimension .. beautiful!! Thank you, I appreciate the compliment. Thanks for sharing the history behind the photo - it's wonderful to read about something that has been around for that many years, and see that it has been beautifully maintained and treasured through the generations...You're so lucky to have places like that nearby! You're welcome Peggi, glad you found it of interest. Good eye, nice pic. It captures a mood all it's own. Thanks Eric, glad you like it.